THIS 80 ACRE PARCEL OF LAND IS LOCATED IN THE RED DESERT. NO IMPROVEMENTS HAVE BEEN MADE ON THE LAND, THERE IS NO POWER, GAS, WATER, OR SEWER. 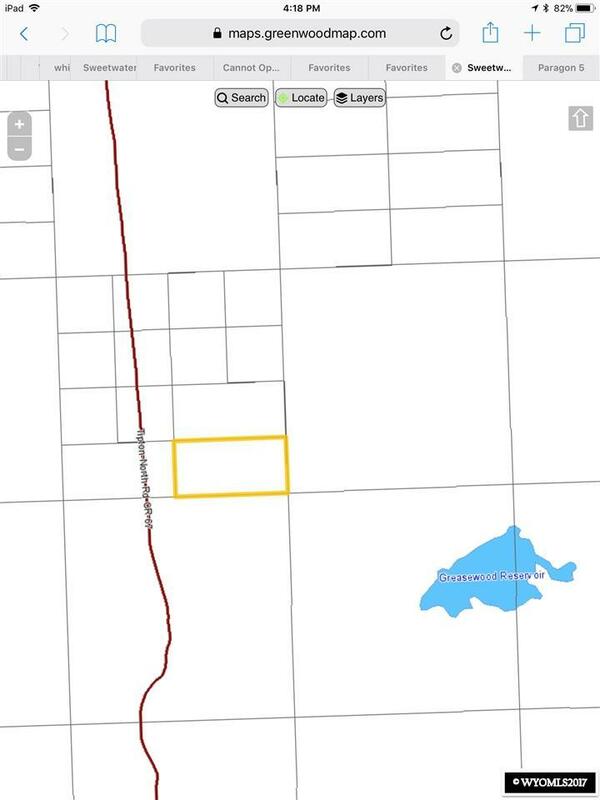 BUILDING PERMITS ARE NOT ALLOWED IN SWEET WATER COUNTY, UNLESS ABUTTED TO AN APPROVED COUNTY ROAD OR EASEMENT FROM AN ADJACENT PROPERTY OWNER WHO IS ABUTTED TO AN APPROVED COUNTY ROAD. TITLE COMPANIES WILL NOT ENDORSE ACCESS FROM WRITE UP ON DEEDS, SO THERE IS NO LEGAL ACCESS. BUYER MUST DO OWN DUE DILIGENCE.